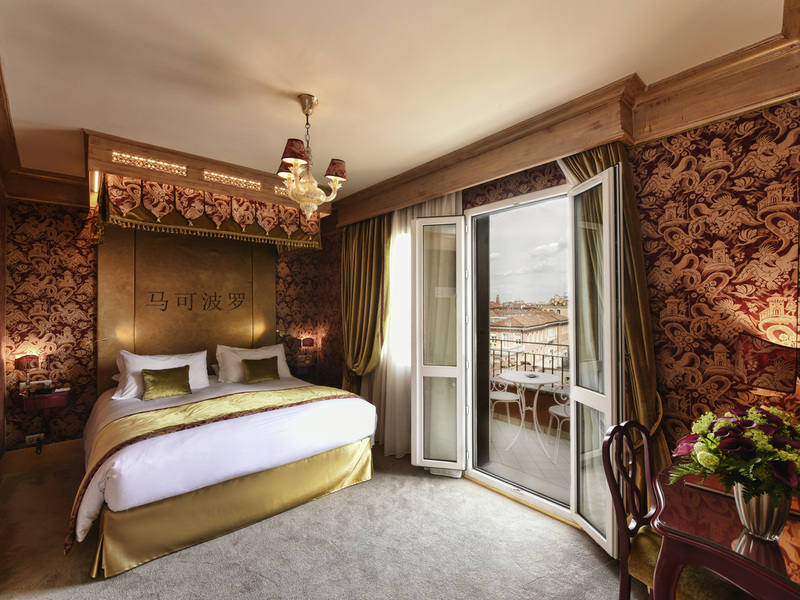 In order to fully capture the soul of Venice, a city that is poetic and wistful, mysterious and unpredictable, the Hotel Papadopoli offers a romantic excursion by gondola, the emblem of the City of the Doges. In the 16th century, there were more than ten thousand gondolas but today just over five hundred remain. Your gondola will take you to hidden and inaccessible corners of the city, silently gliding along the water past the many wonders of Venice. 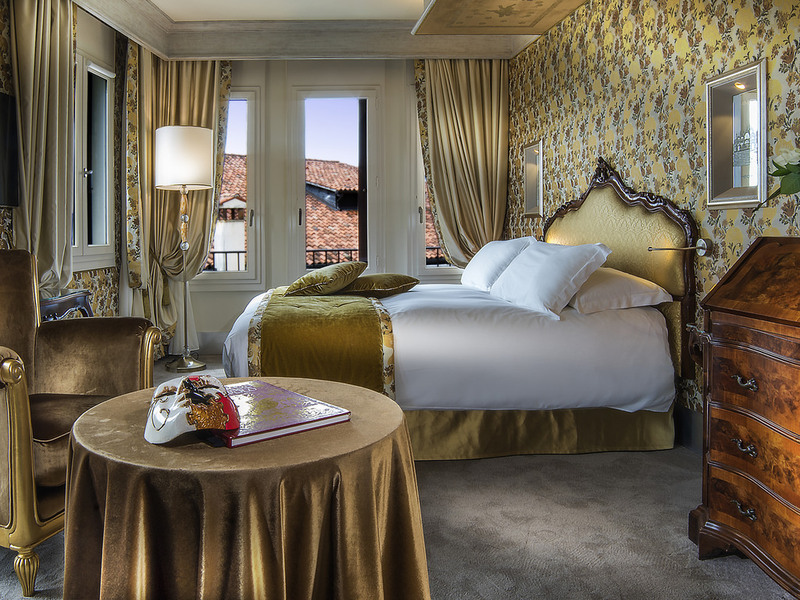 Situated in the heart of a historic district, the Hotel Papadopoli is the perfect starting point for a visit to the unique city of Venice. The decorations, in pastel tones and warm colors, evoke the 18th-century Italian style. .. Discover Venice with one of the city's symbols: the gondola. The Hotel Papadopoli offers a romantic excursion just for you around the most secret corners of the City of the Doges. Gliding across the water, you can admire the hidden palaces, masterfully decorated facades and bridges that elegantly cross over the water. After this sublime escape, relax in the hotel bar and sip our signature cocktail: the Corto Maltese, a tribute to the comic-book sea captain created by Hugo Pratt. 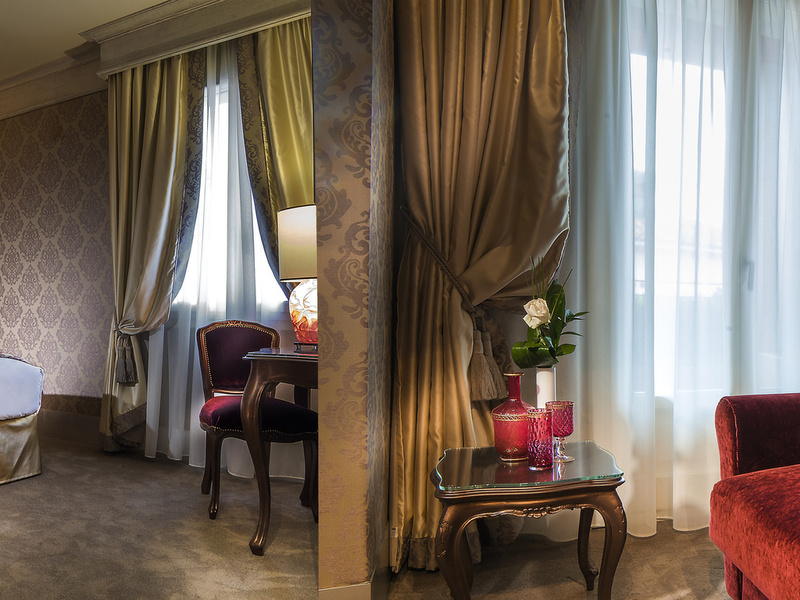 This is a hotel with a refined and elegant personality, a symbol of Venetian culture and tradition. 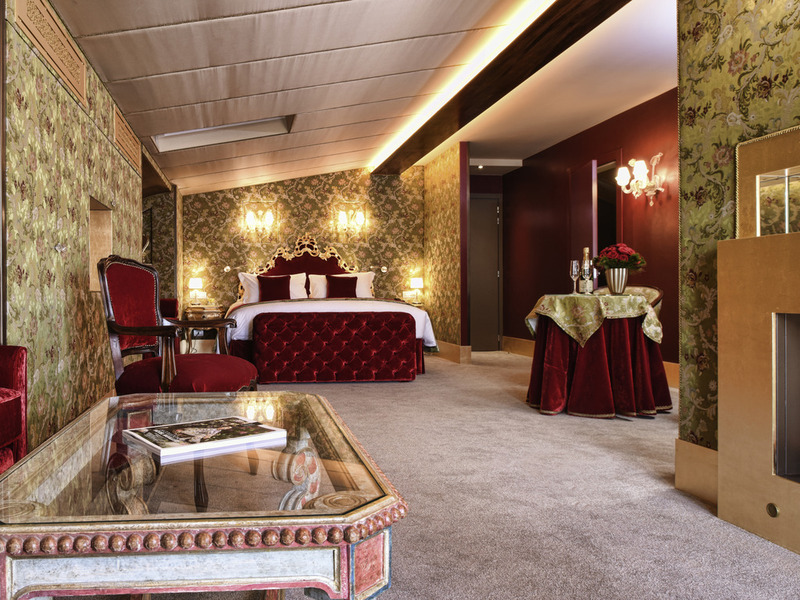 96 rooms and suites with furnishings reflecting the elegance and splendor of the 18th century, and views of the Tolentini Canal and Papadopoli Gardens. 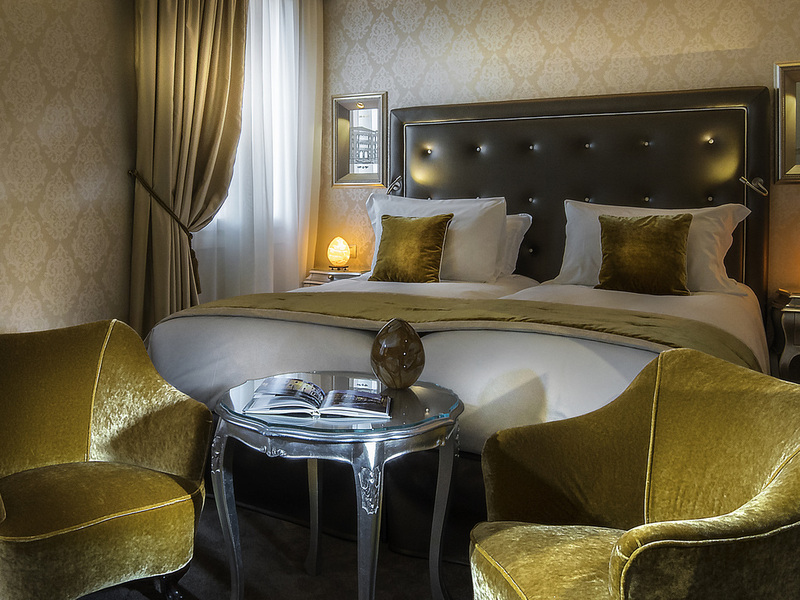 NEW Double Room in a Venetian style, 71" bed or 2 x 35" /83" beds, air conditioning, minibar, safe, USB ports and international sockets, satellite/Sky TV, free WIFI. Spacious walk-in shower or bathtub, bathrobes, hair dryer. NEW Double Room in a Venetian style, 71" bed or 2 x 35"/83" beds, air conditioning, minibar, safe, USB ports and international sockets, satellite/Sky TV, free WIFI. Spacious walk-in shower or bathtub, bathrobes, hair dryer. 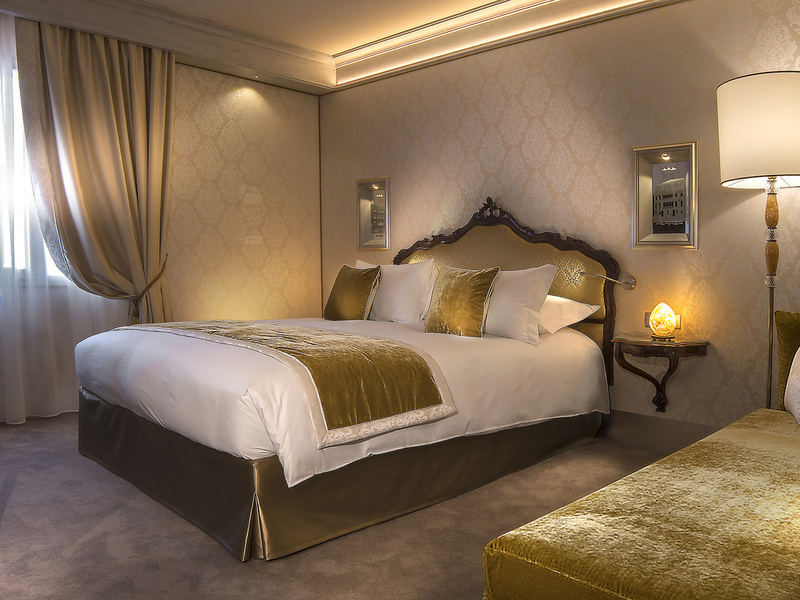 NEW Triple Room in a Venetian style, 71" bed or 2 x 35"/83" beds, 35x79" sofa, air conditioning, minibar, safe, USB ports and international sockets, satellite/Sky TV, free WIFI. Spacious walk-in shower or bathtub, bathrobes, hair dryer. NEW SUITE measuring 355 sq. ft. in a Venetian style, refined materials, 71/83 in. bed, 51 x 75 in. sofa bed, air conditioning, minibar, safe, USB and international sockets, satellite/Sky TV, free WIFI. Spacious shower or bathtub, bathrobes, hair dryer. NEW SKY SUITE, decorated in a Venetian style with refined materials, 71/83 in. bed, 51 x 75 in. sofa bed, air conditioning, minibar, safe, USB and international sockets, satellite/Sky TV, free WIFI. Spacious shower or bathtub, bathrobes, hair dryer. The Venetian specialties served in this unique setting will lift your spirits and delight your palate. Not only is it the ideal place for banquets, business lunches and wedding receptions, it is also perfect for a romantic dinner. An unforgettable ritual for all the senses: At the Salotto Veneziano, you can enjoy an experience that will delight your taste buds and lift your spirits thanks to the wide selection of drinks on offer. Our restaurant is famous for its inspirational dishes in the grand Venetian tradition. It is not only the ideal setting for banquets, working lunches and wedding receptions, but is also perfect for a romantic dinner. With its warm, intimate atmosphere, the "La Terrazza" Lounge Bar welcomes guests to sample sophisticated drinks, for example trying the ritual of grappa or original cocktails, such as the "Corto Maltese". An ideal location for meetings and events: from a meeting in the intimate atmosphere of a suite or the Tolentini meeting room, to a gala dinner in the Winter Garden, we have the perfect facilities and the latest technology available for every occasion. Our Venice wedding hotel is perfect for honeymooners, weddings, and anniversary buffets. This popular Venice wedding location offers VIP treatment for honeymooners - with upgrades, boat trips, canal views, and continental breakfasts on the terrace. Celebrate your honeymoon by popping the champagne and sleeping on a bed of roses. For newlyweds, we offer a package that includes a special gift and a private boat trip or a romantic gondola ride through the canals. We offer luxury limousines and water limousines for guests. Enjoy a VIP service and well-managed procedures for arrival, departure and transit from Venice Airport. On request we also offer private transfers.